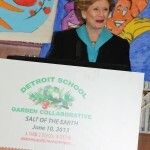 Detroit Public Schools’ Office of School Nutrition handed out its first-ever “Salt of the Earth” and “Golden Shovel” awards to partners of the district’s healthy school nutrition efforts and Detroit School Garden Collaborative. 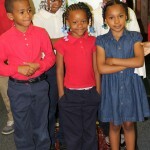 The awards ceremony, held at Nichols Elementary, included a visit by special guest U.S. 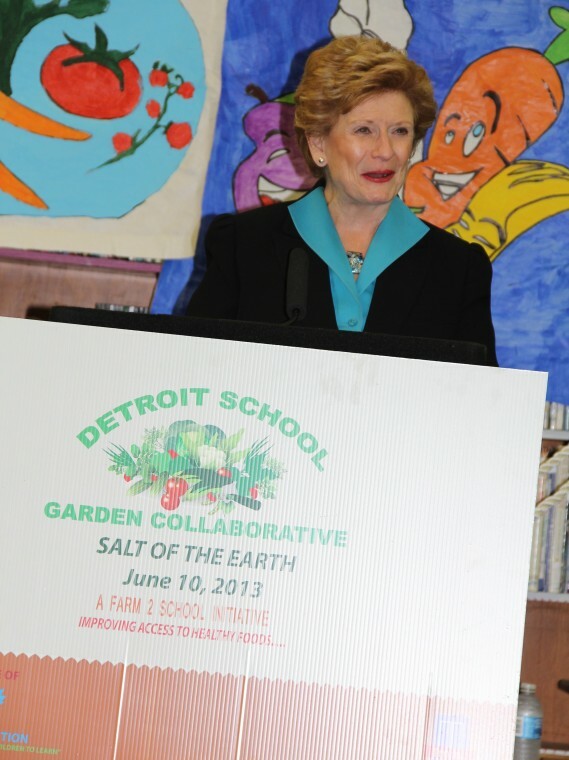 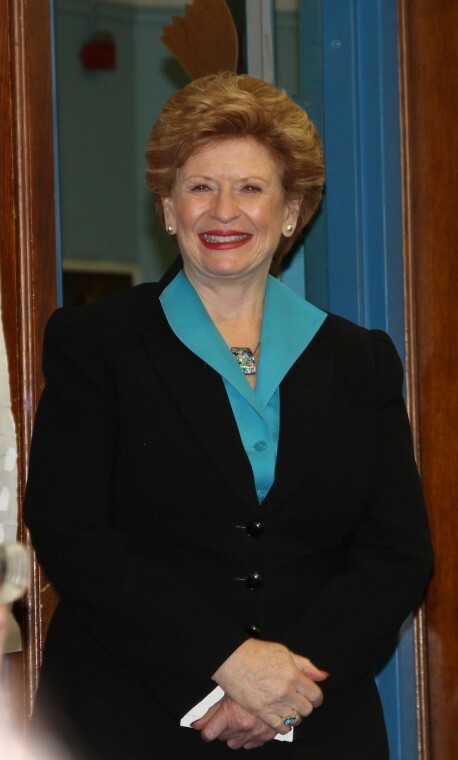 Senator Debbie Stabenow, Chairwoman of the U.S. Senate Committee on Agriculture, Nutrition and Forestry, who joined with Nichols students to formally launch a new school garden collaborative at their school. 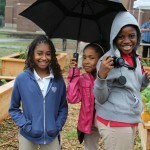 The garden is part of an innovative new education program at Detroit Public Schools called the Detroit School Garden Collaborative, which is creating gardens at 46 schools throughout the district. 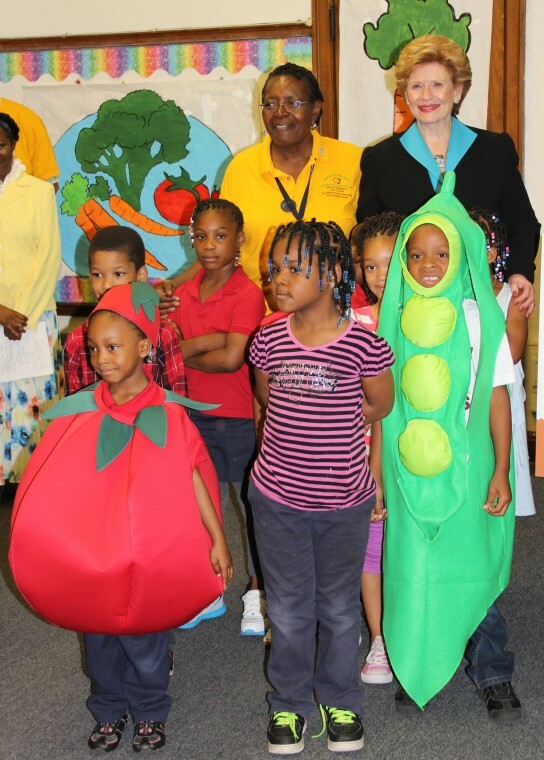 The new garden will provide Nichols’ students with a hands-on agricultural learning experience where they can plant a variety of vegetables that will be used in the cafeteria for school lunches. 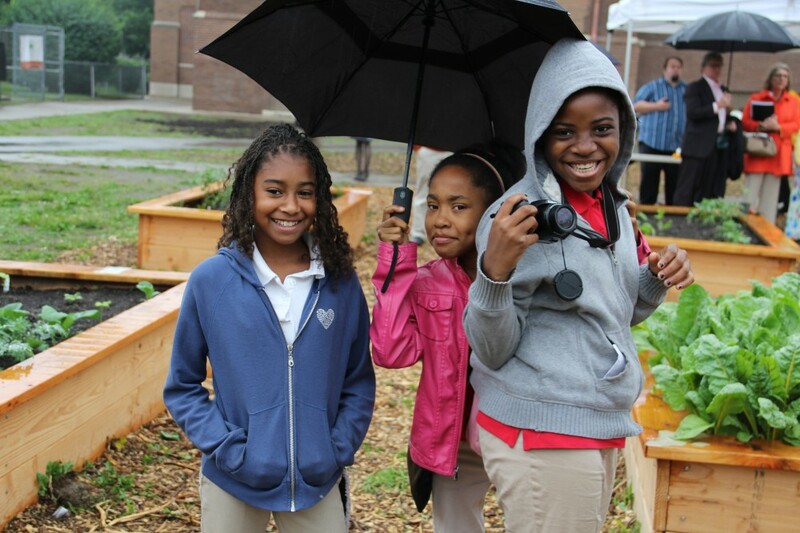 Each of the gardening locations will feature raised beds, compost bins, rainwater collection equipment, gravel walkways and a Farm to School Learning Center. 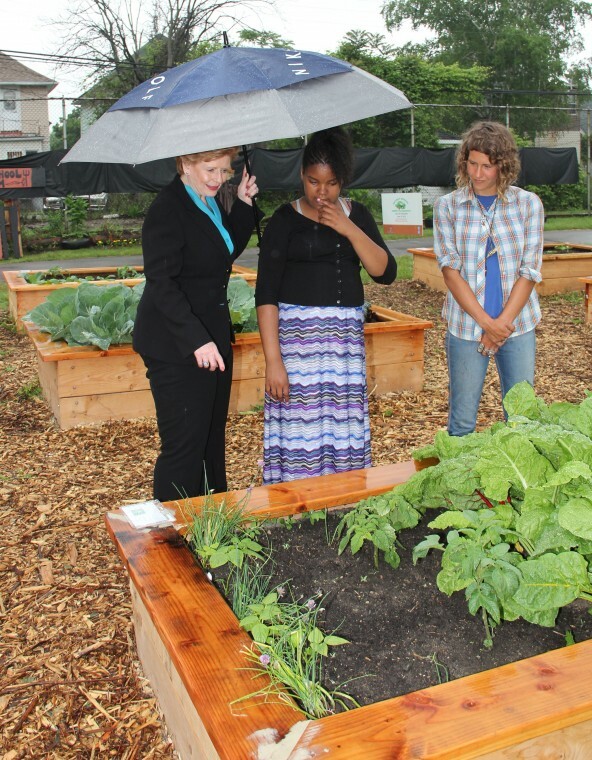 The Nichols school garden kicked off this year following the addition of 6 raised garden beds and the launch of a school garden club led by teacher Barbara Lothery. 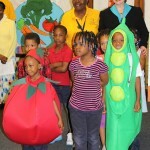 The club is credited with raising awareness among students about the importance of urban gardening and healthy eating. 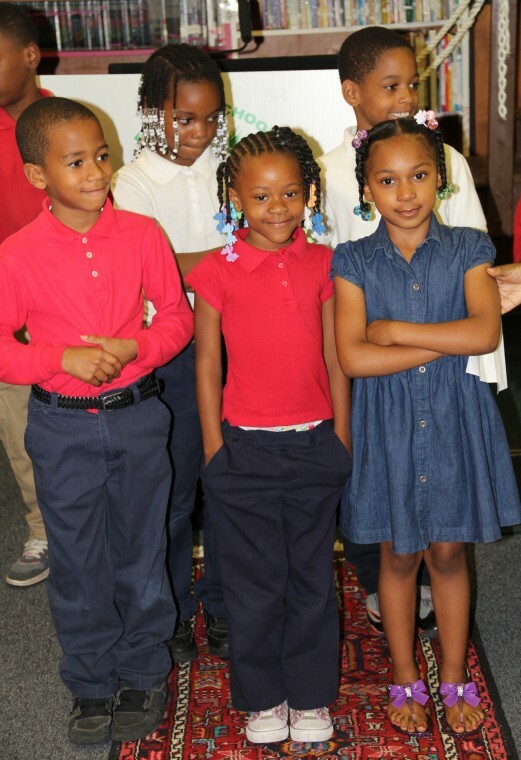 And students reportedly are so eager to participate that they stay late after school and check on the garden during weekends and non-school days. 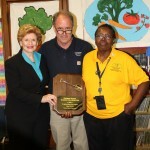 “The Indian Village Men’s Gardening club was so impressed with the Nichols program that they purchased 6 additional raised beds from the collaborative to expand the school garden,” said Zaundra Wimberley, Farm to School Manager for the Detroit School Garden Collaborative. 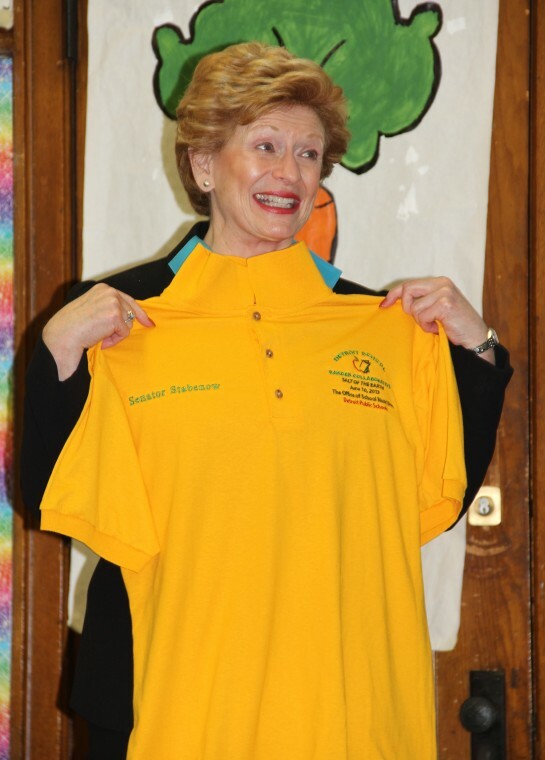 The Office of School Nutrition also supports the program through a dedicated garden attendant, Bree Hietala, who works in conjunction with Ms. Lothery to provide hands-on student education, cooking demonstrations and testings and general education about careers in agriculture. 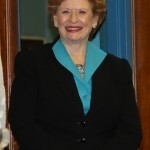 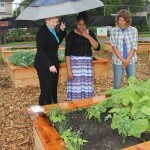 During the event, Senator Stabenow toured the garden with students. 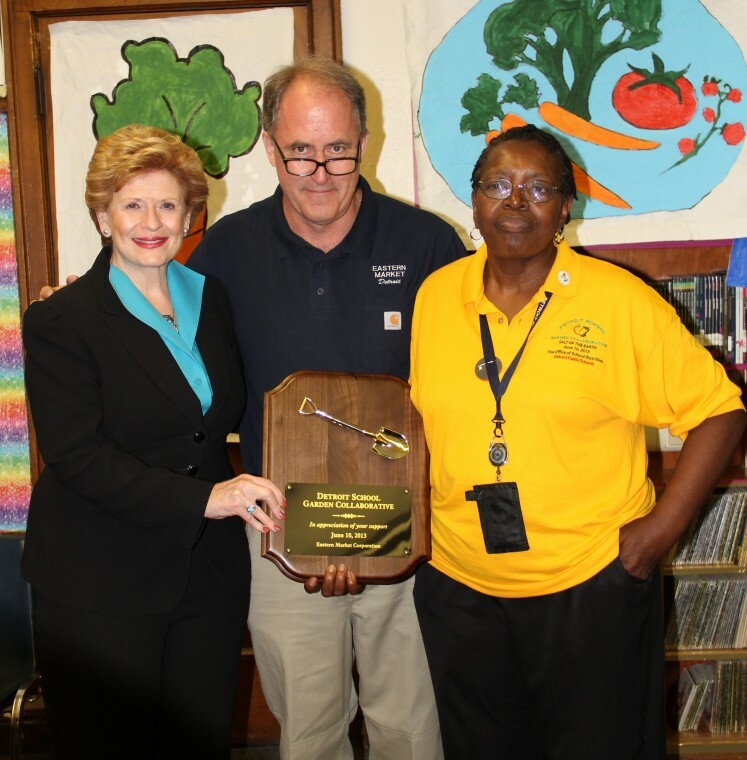 She also helped announce the winners of the Golden Shovel Awards to honor local organizations for supporting the Garden Collaborative.